It often goes that the greatest heroes will fly under the radar. They don’t require a microphone or a stage – in fact, they do not sing of their achievements at all. All these heroes require is a will and belief that they can be the change they envision, and that they can help make life a bit easier for those that need it. Over the Australia Day weekend, we often see these unsung heroes of our community recognised after years of devotion to making a difference. Challenge is extremely proud and happy to see three of our very own unsung heroes – Brooke Mallon Southern, and Graeme and Veronica Green – acknowledged by their respective communities for their unwavering commitment to helping Challenge do what Challenge does best – making kids and families living with cancer smile. Brooke, based in the local community of Cohuna, was overwhelmed and honoured on Saturday receiving the Lions Club of Cohuna’s Australia Day Community Service Award. 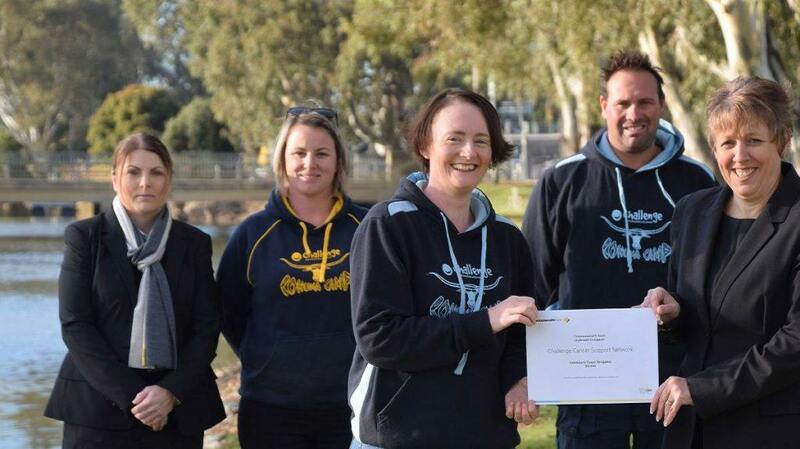 Brooke – a former Challenge member – was bestowed this award for her enormous contributions to the establishment and running of the Challenge Cohuna Camp, which was inaugurated in 2015. Through her perseverance and passion, Brooke has been a driving force who has helped reinvigorate the Challenge program and bring fun to the lives of our many families. Providing new and amazing experiences every year, Brooke helps to bring fun to a journey that isn’t so fun for our kids. 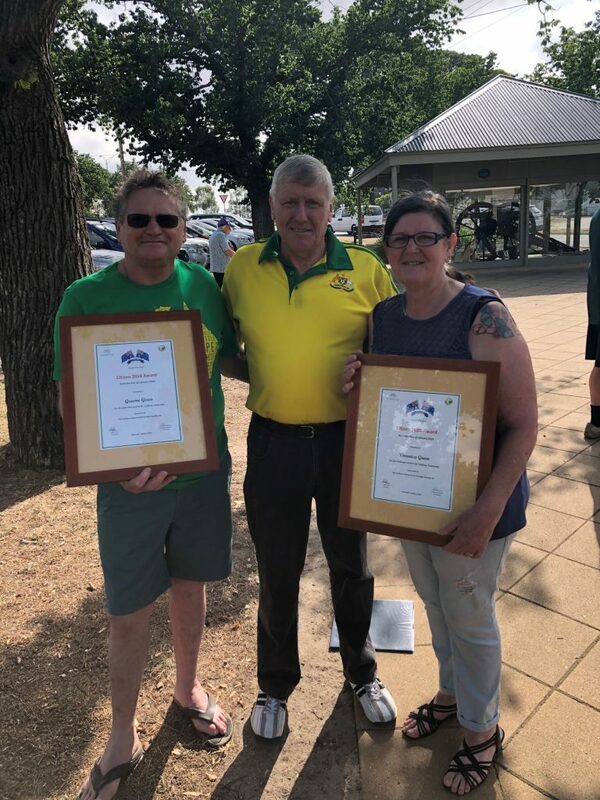 The accolades continued in Sunbury where Veronica and Graeme were celebrated by their community with the honour of receiving the Sunbury 2019 Citizen Award for their commitment to fundraising for Challenge by hosting a sausage sizzle every Saturday outside the Royal Hotel. The initiative began over 20 years ago thanks to the late Peter Collins, whose contributions to the community were memorialised following his passing by a plaque on the Royal Hotel itself. To honour and continue Peter’s great legacy, Veronica and Graeme work tirelessly with their peers to keep the tradition thriving. Together with their team, the tradition continued by the Green family has raised hundreds of thousands of dollars for Challenge – a feat of which they should be immensely proud. Brooke, Veronica, and Graeme along with all the other unsung heroes of our country deserve all the recognition and praise they are receiving. We congratulate them on this significant achievement and feel proud to have them as part of our community. Not only does Challenge keep ticking because of people like Brooke, Veronica and Graeme, but also more generally, society. It is imperative we continue to recognise the hard work of these people as they are the fabric that holds our communities together, and they are the plaster that prevents the disadvantaged from slipping through the cracks. Well done to you all and may you keep up the fantastic work you are all collectively doing to make a difference to the lives of kids and families living with cancer.